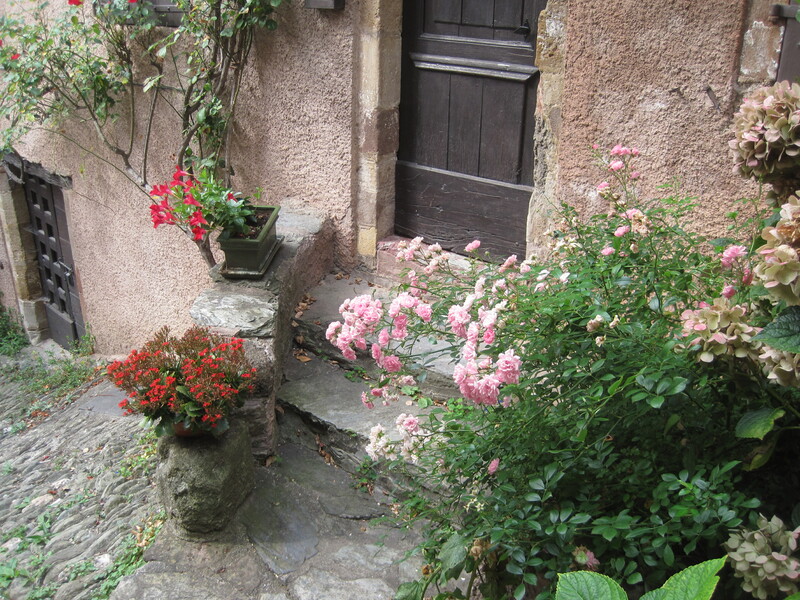 On a brisk, cool Saturday morning in September, we set out on our trek through the French countryside. 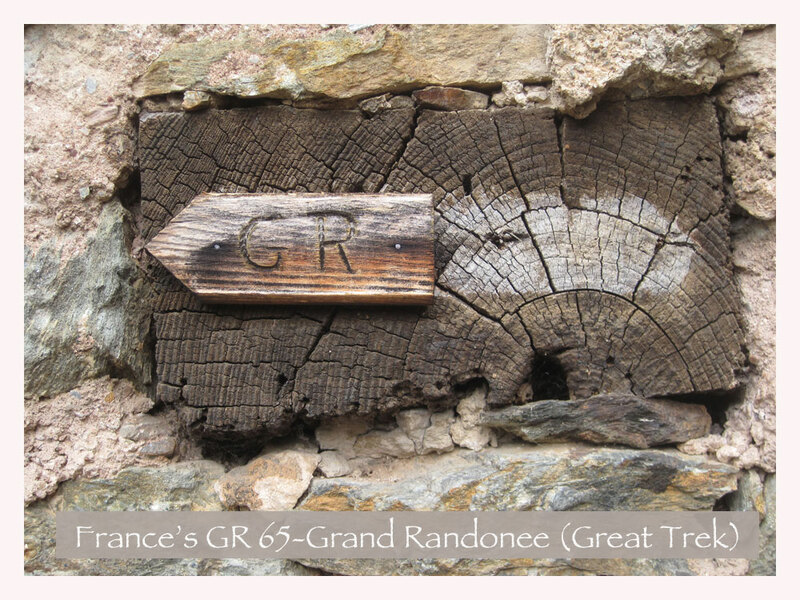 From Rue de Saint Jacques in the town of Le Puy-en-Velay to Conques, toward Toulouse, the trail known as the GR 65, wends its way through some of the prettiest French villages in the country. Within minutes, we were on the pilgrims’ footpath, leading to Santiago, Spain, which overlooks the Atlantic Ocean. But we weren’t going that far . . . not even close . . . not this time. Our plan was to cover only a little over 200 kilometers (125 miles) in 10 days. Next year, perhaps we’ll walk another section. We’ll see. Our conclusion is that those medieval pilgrims were some pretty tough cookies indeed! The centuries-old network of trails winds throughout Europe—all going to the same sacred place. As our 8-hour days of walking continued, we developed new respect for our pedestrian predecessors. As far as we know, they not only walked the entire trail, but had to walk back as well (no trains or airplanes to whisk them home). They probably didn’t have form fitted backpacks, hiking shoes or comfortable places to bed-down at the end of the day. Instead, they surely wore handmade leather shoes or sandals, toted the entire family, and slept under the stars, accompanied by all of the opportunistic predators lurking in the shadows of the night. On such a soulful walk, one is bound to experience all of life’s ups and downs: steep rocky hillsides; expansive open meadows; exhausting days; intense heat; crazy swirling winds; drenching downpours; and of course, beauty beyond one’s wildest imaginings. We found all of that and more, including some of the most wonderful people you could hope to meet—also walking “The Way.” The quiet thoughtful rhythm of our own steps by day, was contrasted with engaging conversations around the tables shared with new friends over an evening meal. Delicious, yet simple, country cuisine made everything even more enjoyable. Anyone who follows the path has their own particular reasons, and approaches, resulting in totally personalized experiences. There’s little we can say about our 10 short days, other than: it was incredible and we will definitely walk another section of the trail, when the time is right, and our legs and feet have fully recovered. 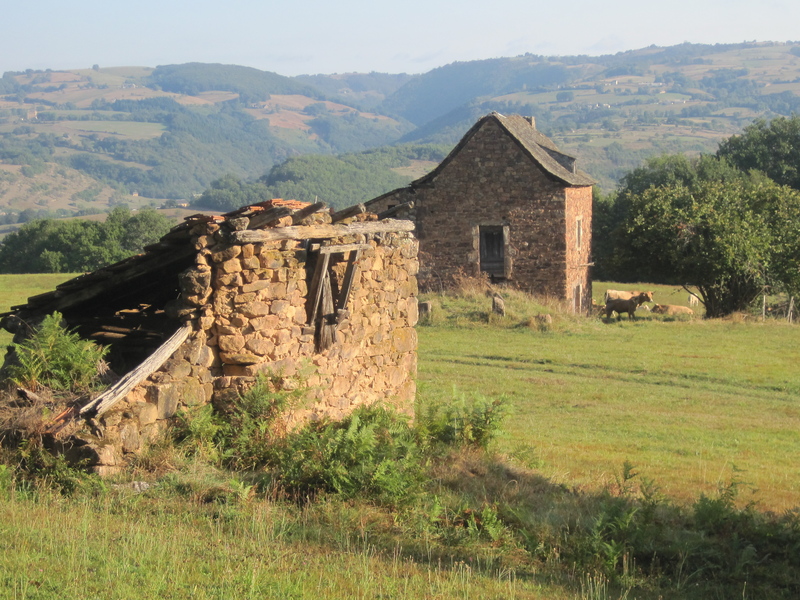 We have, however, included the following short video to give you a sense of the French countryside, small beautiful villages, and the wonderful people along the way. 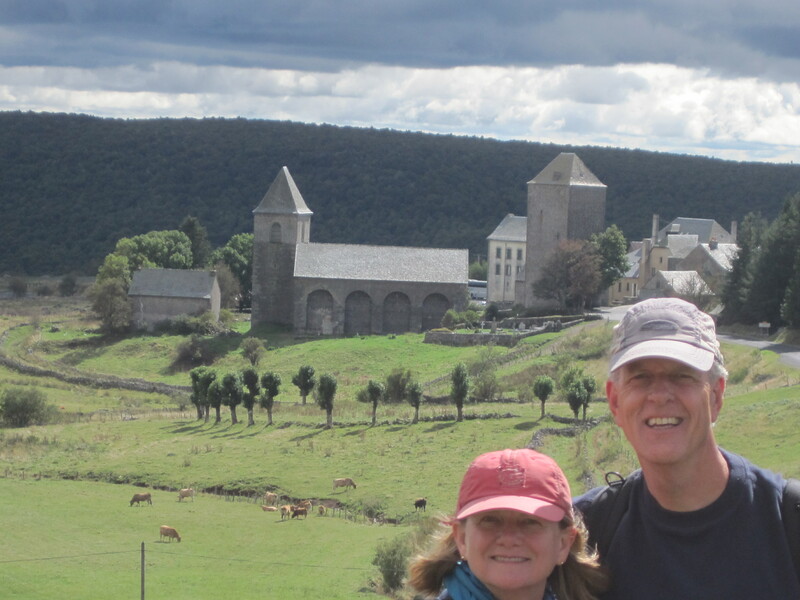 You might even want to create your own pilgrimage on the “Way of Saint James.” You won’t be sorry!